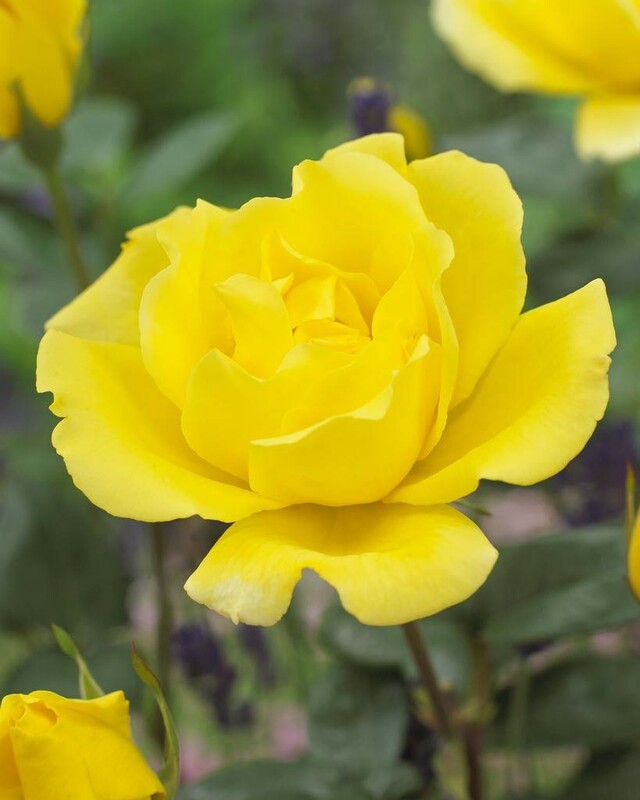 Large, double, clear-yellow flowers from July to September and glossy, dark green leaves. 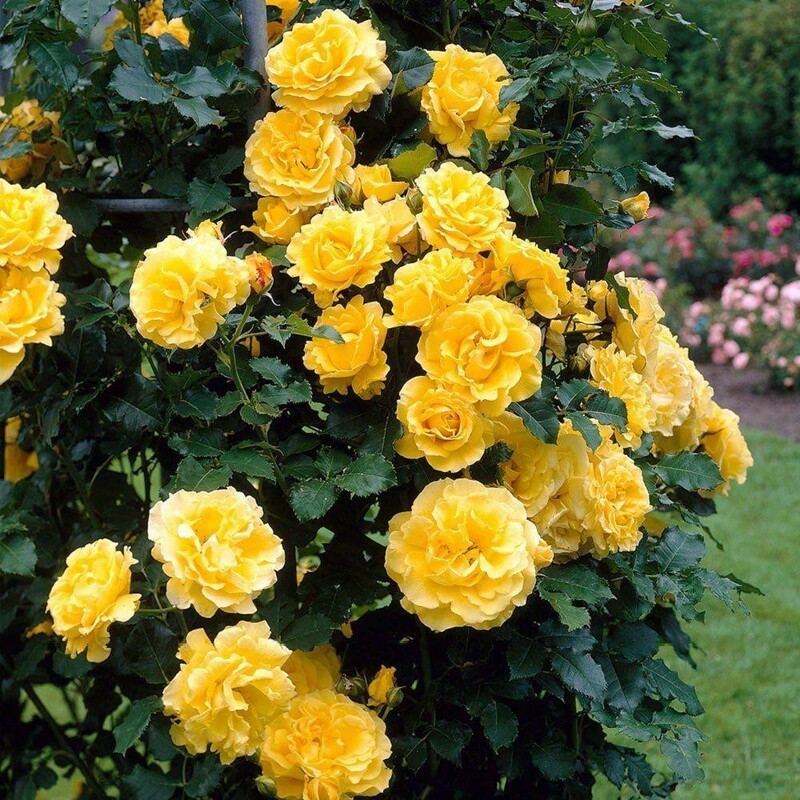 This beautiful, repeat-flowering climbing rose is the most popular, yellow climbing variety. Particularly suitable for the smaller garden, it's ideal for covering a sunny wall in a site with fertile, moist, but well-drained soil. Excellent garden performance has won this variety a presigious RGS Award of Garden Merit. A highly fragrant Climbing Rose. Grows up to 12ft.